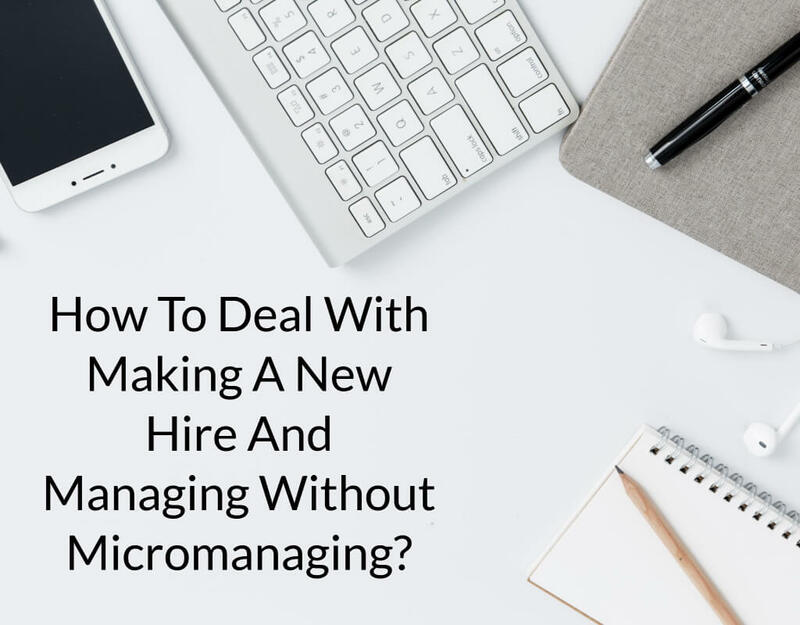 How To Deal With Making A New Hire And Managing Without Micromanaging? As an entrepreneur, chances are you have already made your first hire. Maybe it’s a VA who assists you with all the admin that running a business involves, or maybe it’s a specialist, like an editor who helps you polish your best videos. However, maybe you’re on the other side and are looking at making that potential first hire but don’t know what you should do…or shouldn’t do! Once you have trained your employees and they are confident with their workflow and processes, it should be time for you to dedicate your time to other tasks and enjoy having the extra help. Yet, for as much as we want to, sometimes we just can’t take that step back. We find ourselves tracking every task, checking in with our employees, again and again, overseeing every aspect of their work – in a word, we are micromanaging. Here are my best tips to avoid micromanagement without compromising your employees’ results. Not only does micromanagement takes up a lot of your time, but it also makes your employees feel that they are not trusted, which in turn undermines their proactivity. And proactivity boosts productivity. Of course, you want to have a system in place, a set of processes that you know works. 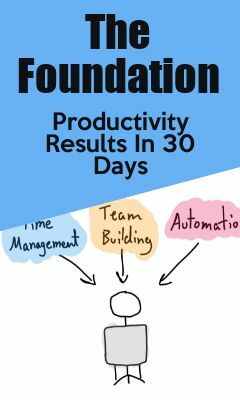 But once that is up and running and your team uses it daily, there is a chance that they have ideas on how to improve the system – and your best employees will want to do just that! If you give some leeway and ask employees for their ideas and opinions, you may be surprised by the feedback – they may love or excel at some parts of the work and take over more responsibilities, or have ideas on how to make things run better and faster. If a part of you is having a hard time letting control go, it may be because you are scared that the moment you stop looking, things will start to go wrong. An effective way to beat that fear is to look at the results. Start from the process. Is the process working, or failing? If it’s failing, fix it. If the process does not need fixing but is still failing, you may have the wrong person doing the right process. Unfortunately, not all hires are successful, and you can accept that and move on. If you know you have the right person working the right process, look at their final results. If you are getting the results you want from their task, it’s time to step back. Stop micromanaging, stop helping out. It does take time, but you will notice that if you are confident that you are getting what you want the way you want on time, it is easier to remove yourself. Hopefully, these two simple steps will help you focus on what really needs your attention. If you still haven’t hired but think that you need to take someone on board soon, make sure to check out my first hire checklist for entrepreneurs. « How To Deal With Getting Small Tasks Off Of My To-Do List And Schedule?